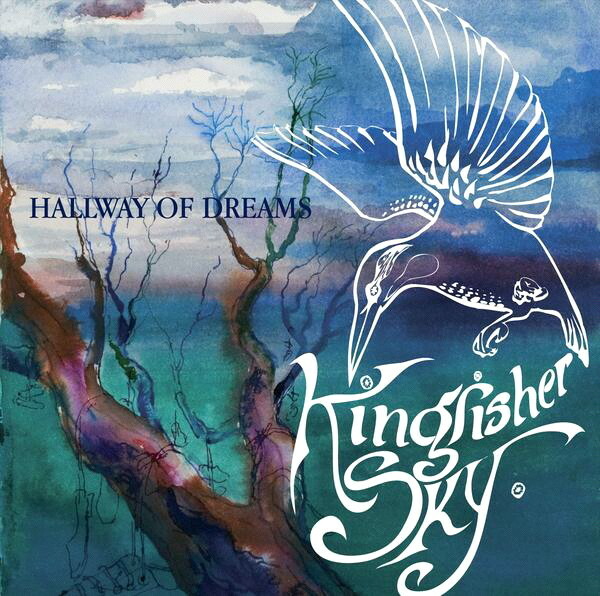 Kingfisher Sky is a new Dutch prog rock band consisting of Judith Rijnveld (vocals), Daan Janzing (guitars), Edo van der Kolk (guitars), Eric Hoogendoorn (bass), George van Olffen (keyboards), and Ivar de Graaf (drums, percussion, and guitars). What sounds like it should be a brilliant band (ex-Within Temptation and Orphanage band members) on paper does not work for me. This has been a tough CD to review. I have spun it five or six times and I alternate between like and dislike. The music is a mixture of aggressive metal and melodic prog rock and I think my problem lies with the metal influences. There is just too much of the same hard-driving bass that appears without any variation from song to song. Then there is the sameness of Judith’s vocals running through each song. I sense a general lack of emotional connection to anything she sings. Though the promo material sites musical influences ranging from Clannad to Porcupine Tree, it really just puts Kingfisher Sky smack dab in the middle of the pack of neo-prog bands. I find that their CD is fine when played as background music, but at normal levels, it simply tires me out. I much prefer music that grabs hold of my attention and does not let go.